If you didn't know, Nintendo celebrated its 127th birthday recently. With so many years of history, there are naturally going to be retrospective books that pop up from time to time. It's time to add another one to the list, this time out of Japan. 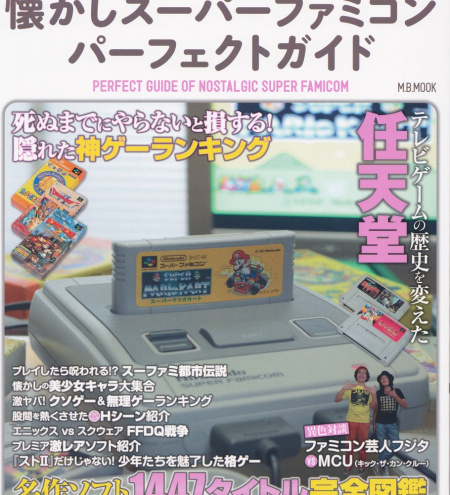 The "Perfect Guide of Nostalgic Super Famicom" is the second in this series of "Perfect Guides," as a Famicom edition was released earlier this year. The book is well done, with full layouts of each featured game's information, box art and screenshots. This book covers every minute detail of the system's lifespan, which in Japan was from 1990-2000. The first half of the book is dedicated to a list of top tens. Instead of going by typical genres, like fighting, sports, etc., this book creates its own lists, like "Games with Cute Girls," or "Games Where the Characters are Passengers on Something," while still having more traditional lists like "Best Game Music." 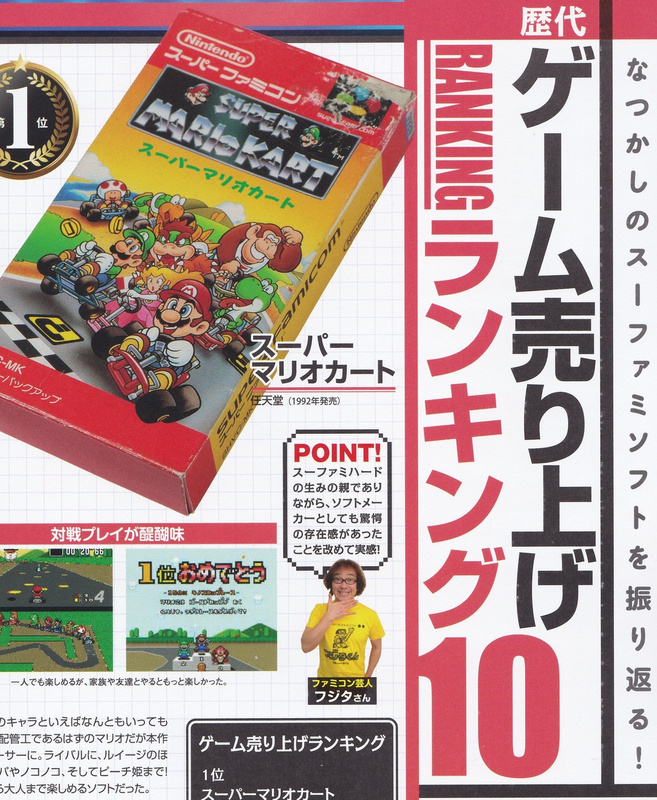 Interestingly enough, Super Mario Kart was the best selling game during the Super Famicom's lifespan, not Super Mario World, which is still listed as the best selling game worldwide. 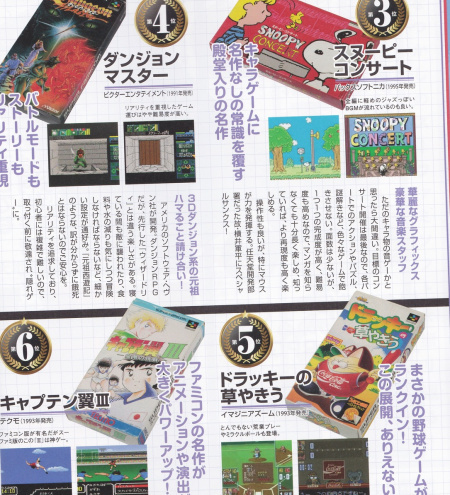 The writers also didn't leave out the worst games: Zico Soccer earns the top spot there, alongside Fist of the North Star 6 and Kunio no Oden. Thats a Puyo Puyo type game with characters from River City Ransom and items from Oden, a type of soup commonly made in Japan. Though sadly only in black and white, the latter half of the book gets much more interesting. 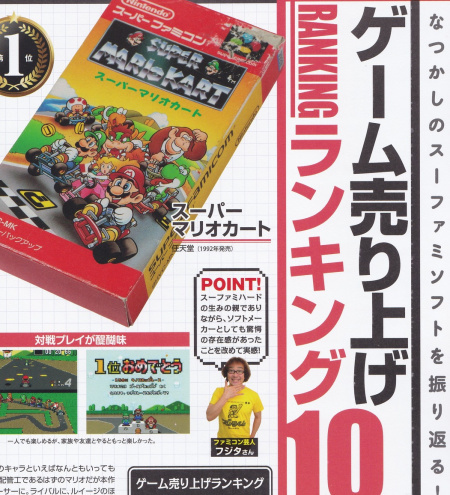 There are small details, like Super Mario Kart celebrations in different regions, or using multi taps to show how it's possible to play one game - Shining Scorpion - with up to 13 players. Some games that have interesting bugs are also discussed. Then the topic turns to the history of Nintendo and Sony, with the now famous collaboration which failed to produce the Super Famicom CD, but did create an industry giant in the Playstation brand which still exists today. This follows up with results of a poll of which is better, Final Fantasy or Dragon Quest? Final Fantasy is considered as having better battles and graphics, while Dragon Quest has more interesting characters and spinoffs. After that come more interesting and rare items, like Nintendo Power. 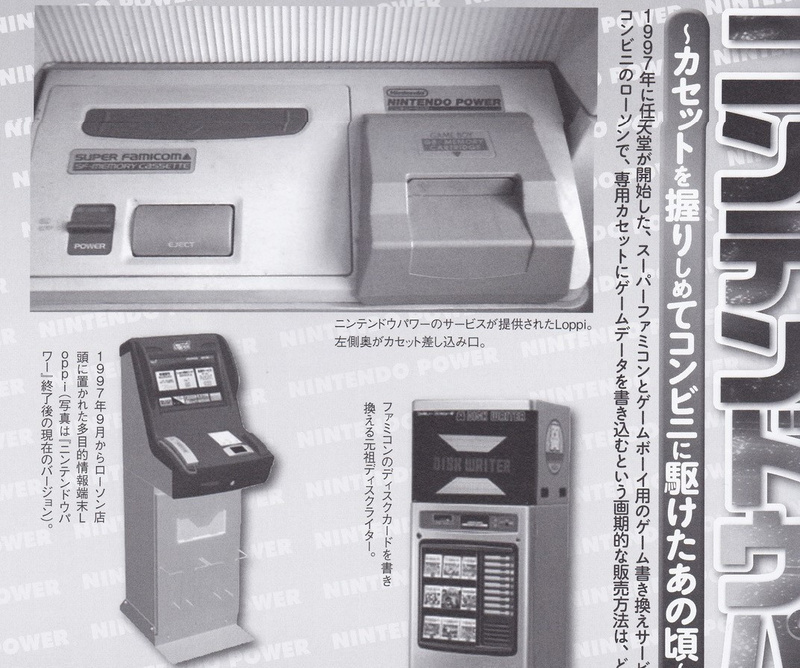 Its not the magazine, but a flash cart where you could purchase and download games at kiosks in convenience stores. It was similar to the Famicom Disk Writer and sounds like so many NX rumors we keep hearing, too. 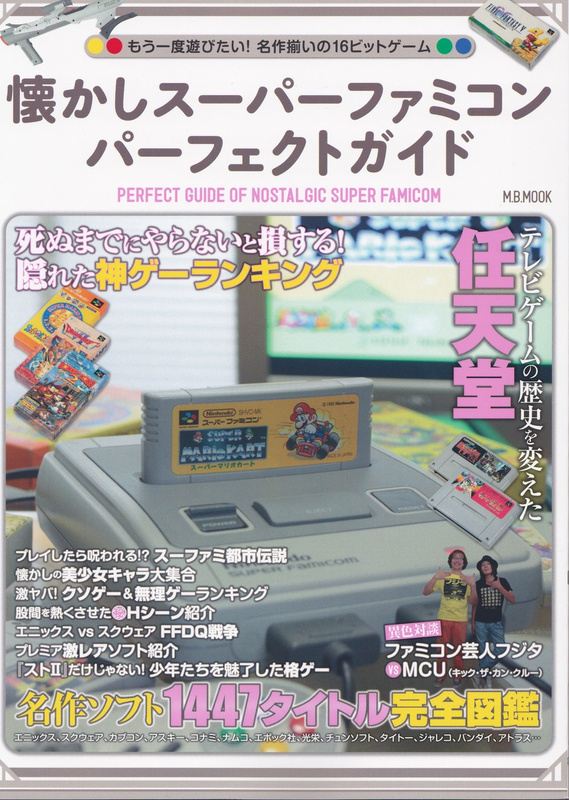 There's even more with a complete timeline of events from the first press announcement of the Super Famicom in November 1988, through the years until it was discontinued. One can learn some really neat trivia you might not know, like the fact the Super Famicom didn't get its first 10,000 yen ($99) price cut until after the N64 was released! A crazy contrast, as in the West - in the middle of the 16-bit console wars - the price was reduced almost immediately and continuously. The book ends with release information about all 1,447 Japanese released titles. From the first one, Super Mario World, on launch day (21st November 1990) to the final game, Metal Slader Glory: Director's Cut on 29 November 2000. All in all, it's a great book with some excellent, accurate historical coverage. The opinions of the top tens may vary, however. Being the second book in this series, its natural to think that the writers will release a version for the Game Boy or N64 libraries a few months down the road. If they keep the same pace, they may try well go through each generation of Nintendo hardware straight up to the Wii U. Time will tell on that one. "Perfect" if you speak Japanese. Otherwise not so much. Ahh, sounds like an interesting book to read. Sadly, I don't know Japanese, lol. 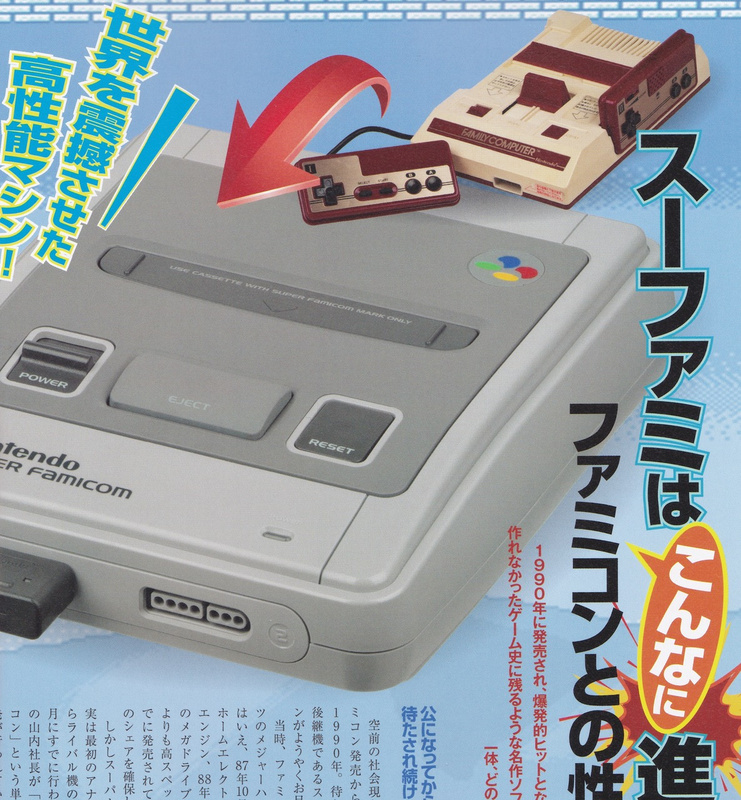 One of these days I need to find a Super Famicom. They look so much cooler than what we got in the US. but i can read all Hiragana and Katakana letters. That is pretty cool. I may have to put these on my list. I wonder if they will do all of the Nintendo systems eventually. Anybody got a purchase link...that isn't Amazon.jp? I can't take their shipping. This is Famicom book mentioned, on Amazon UK. 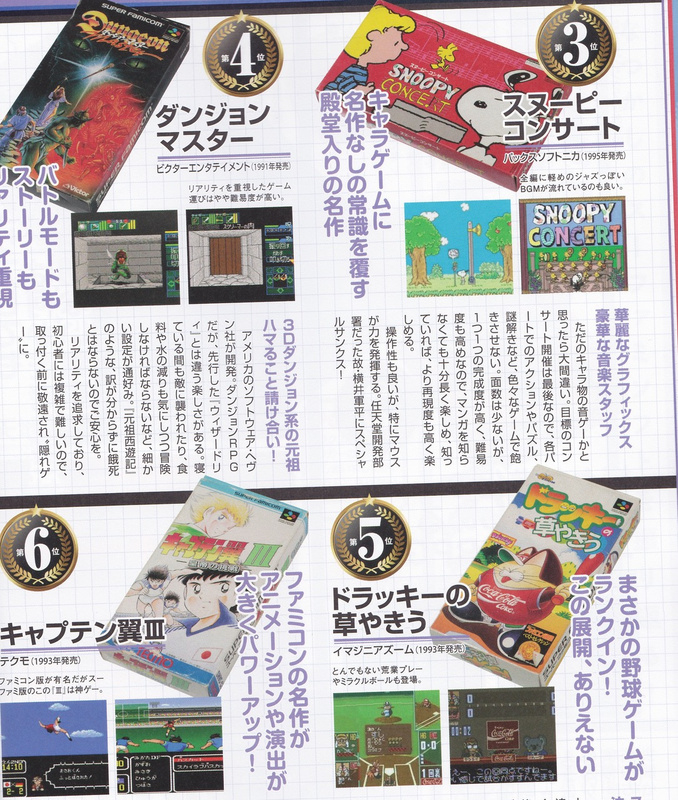 The Super Famicom one is not there yet, I'm assuming because it was just released. But at £25, it's cheaper to buy it from Amazon JP and pay the shipping. If they released a North American equivalent about the SNES, I'd love it. Looks very Japanese and very cool...But I guess I need to learn a third language after French and English! Just got my copy yesterday. This is indeed an excellent book. Incredible amount of information and pictures. Would be worth the effort of being translated, it's a gold mine of knowledge.